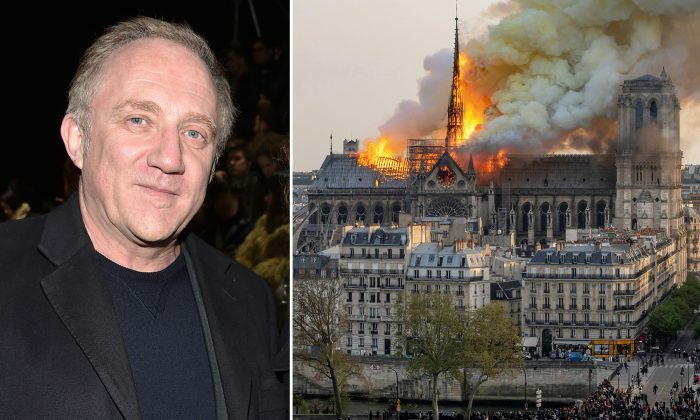 In an effort to rebuild Paris’s soaring Notre-Dame Cathedral, one of the world’s most iconic tourist attractions that was engulfed by a massive fire on the evening of April 15, a French billionaire, François-Henri Pinault, and his family vowed to donate 100 million euros (approx. US$113 million). Pinault is the chairman and CEO of Kering, an international luxury group that has owned renowned brands like Gucci, Saint Laurent, Bottega Veneta, and Balenciaga since 2005. He is also the president of Groupe Artémis, which has owned the fine arts auction house Christie’s since 2003. French President Emmanuel Macron told reporters on Monday night, “I’m telling you all tonight—we will rebuild this cathedral together. This is probably part of the French destiny. And we will do it in the next years. Starting tomorrow, a national donation scheme will be started that will extend beyond our borders,” CBS News reported. 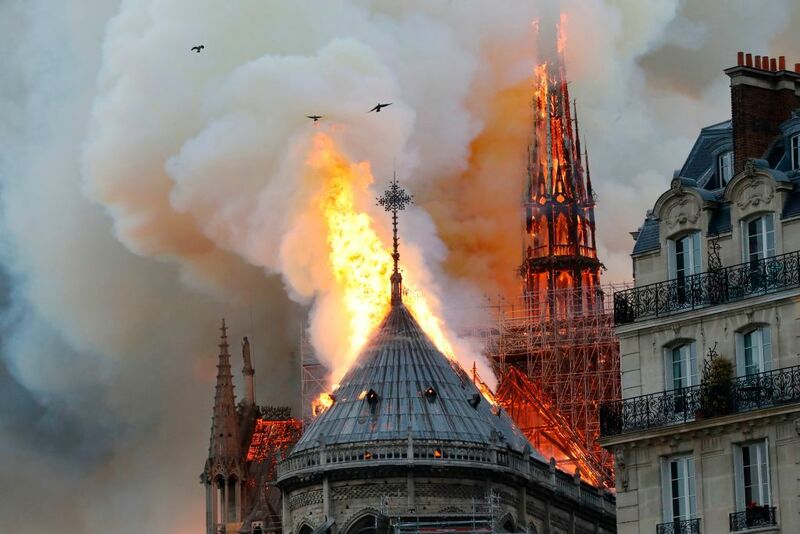 Amidst extensive ongoing renovations to repair the wooden structure due to water damage, the historic structure’s spire collapsed due to the blaze, which then spread to one of its monumental rectangular towers. Luckily, around 400 firefighters worked for five hours and brought it under control, managing to save the cathedral from further damage. 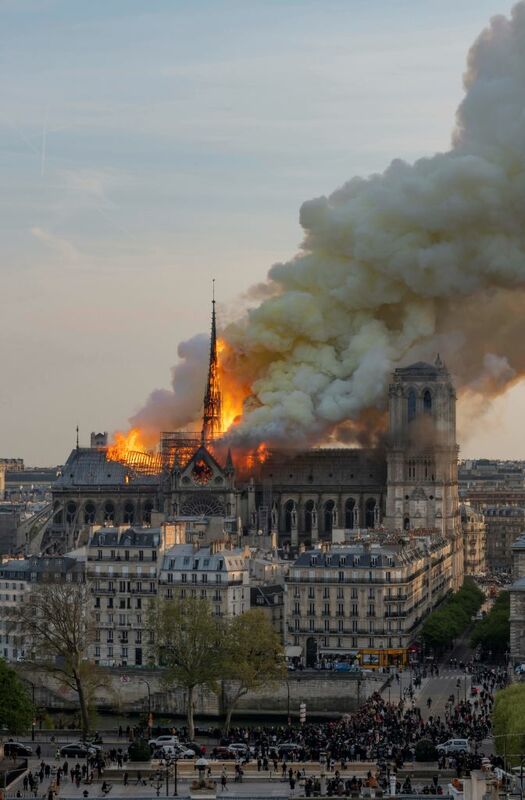 Paris fire brigade chief Jean-Claude Gallet told reporters, “We can consider that the main structure of Notre-Dame has been saved and preserved,” according to The Local. 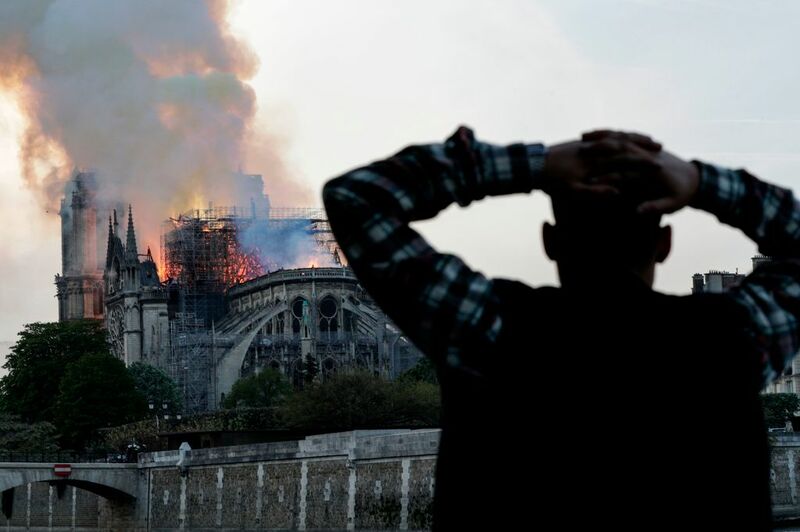 The 12th-century structure is visited by millions of people every year, and is popular for being featured in Victor Hugo’s 1831 novel “The Hunchback of Notre Dame.” According to BBC, the fire broke out at around 6:30 p.m. local time and soon spread to the roof, before the spire fell and lit up the sky in orange color. Hundreds of people gathered around the island and watched in shock as flames went up the iconic monument. 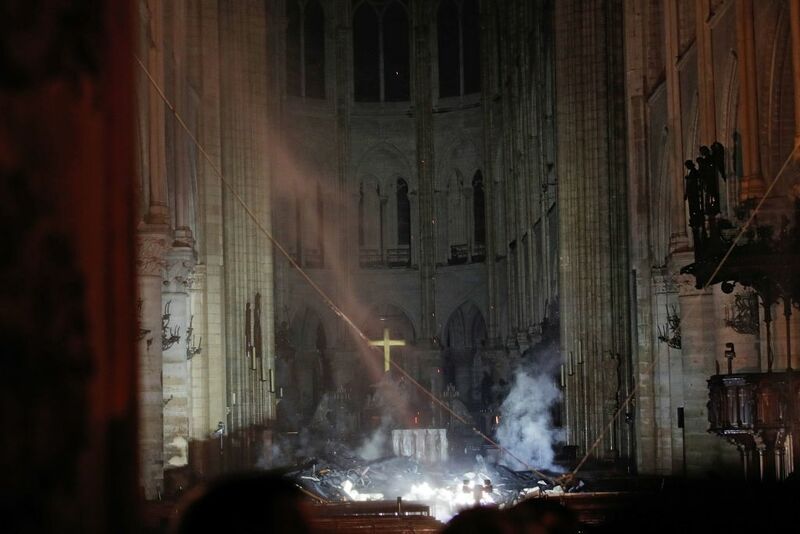 The tragedy that struck a week prior to Easter saw crowds of people praying and singing hymns past 11 p.m. on Monday night around the 850-year-old cathedral, CNN reported.